Just in time for warm weather fun! 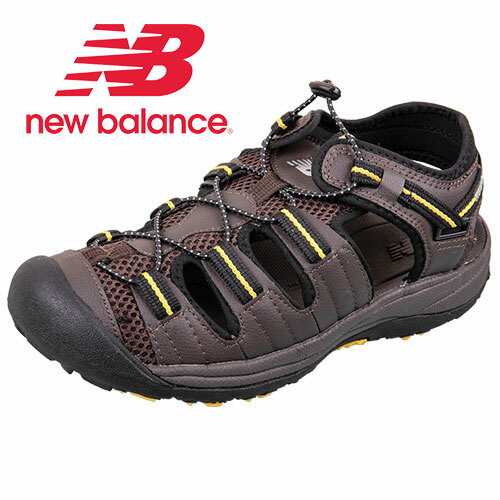 Pre-season closeout on men's New Balance laced sandals! Timing is everything. And if you've been looking for a great deal on quality summer footwear, now is the time to buy! Quality crafted from toe to heel, these Appalachian sandals feature a water-resistant synthetic upper that makes them perfect for wearing at the beach, by the lake or in the boat. They're ideal for long walks in the woods too! Also features rubber outsole for reliable footing, a compression EVA midsole, EVA footbed for flexibility, bungee closure for a snug and comfortable fit and toe cap protection. Color: Brown. Mens size 13.